After upgrading to vCenter 6.5 I replaced the Certificate Authority certificate of my (external) Platform Service Controller (PSC) with an ‘flenzquest-enterprise ;-)’ signed certificate. The tasks to replace the ssl certificates haven’t changed much from version 6.0 and has been document very well within the community. After the successful replacement I realized that I had problems with vSphere replication and NSX. 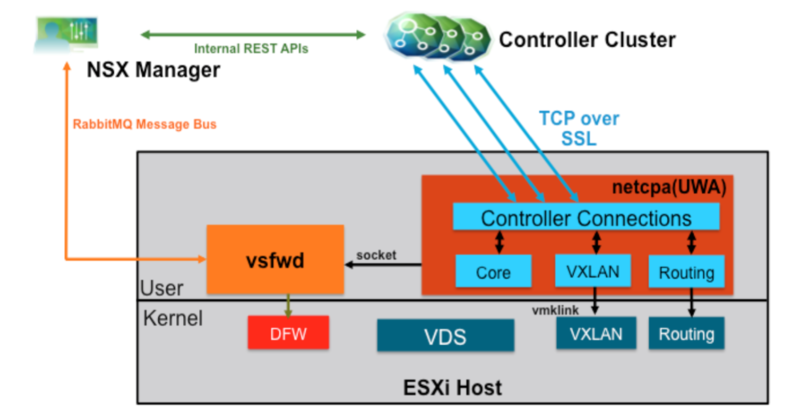 I know that NSX is not supported yet with vSphere 6.5, but so far the NSX Manager connectivity with vCenter 6.5 has worked pretty well (until I replace the certificates). I had a very bad feeling about this issue and googling about it brought an old case to my attention which I thought has been fixed quite a while ago (obviously it hasn’t). I found an old chat protocol of me, Frank Büchsel and Feidhlim O’Leary on Twitter. 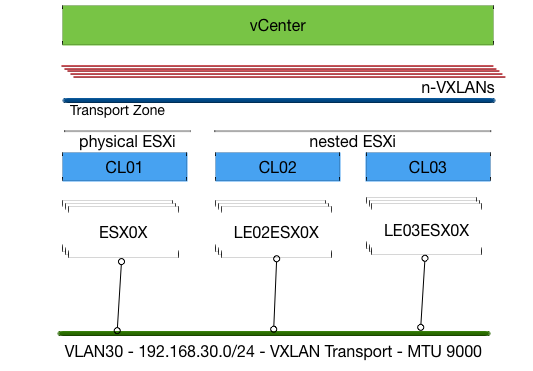 I am currently troubleshooting some minor issues in my homelab and therefore needed to get more information about the ESXi <–> NSX-Controller interaction (Picture taken from the VMware’s Reference Design: VMware® NSX for vSphere). Therefore I wanted to increase the detail-level of the netcpa.log file.